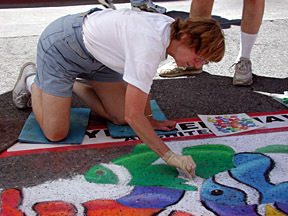 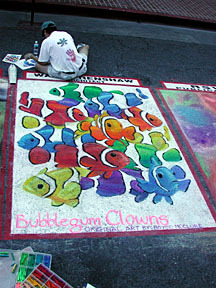 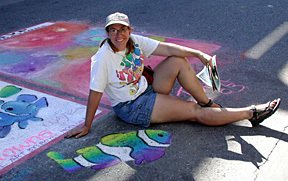 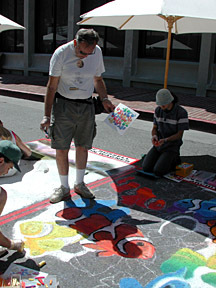 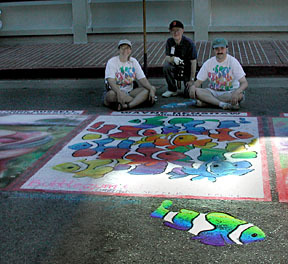 In 2003, Palo Alto added street painting to its Festival of the Arts, an arts and crafts show held every year down the main street of downtown Palo Alto, University Avenue. 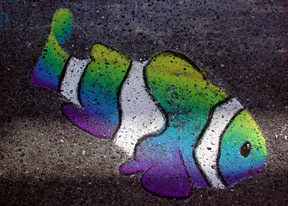 We thought this painting by New Zealand artist Royce McClure might be a good way to use up some of the fluorescent pinks and oranges we collect with every festival, but we didn't end up using as many as we thought. 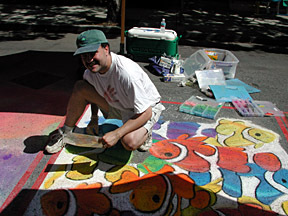 The street has chunks of quartz in it, and wasn't fogsealed before the event, which caused problems because the pastels didn't adhere to the shiny quartz.